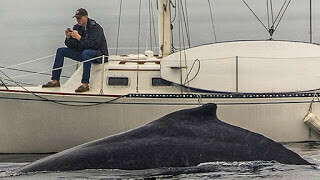 I saw a picture of a man enjoying a day on his sail boat, what was so revealing about this moment wasn’t the fact that he was on his boat as much as the fact that while “relaxing” he was fixated on his cell phone… so fixated that he missed the whale breaching within just a few feet of his boat. Have you ever missed some really cool things because you were caught up or fixated on the wrong things? I am a master at missing the really cool things… Like for instance, whenever I go star gazing with my family, I can guarantee everyone exactly when a shooting star will appear: it will appear every time I look away! Yep, I’m the worst at seeing shooting stars cause I can’t look up and stay focused long enough. It’s kinda like my walk with Christ. I can get so caught up in the minutia of life that I lose focus on everything important and end up dwelling on the wrong things. With the snap of a finger, I lose my fixation on Christ and anxiety begins it’s “rusting work” in my life. Life out of focus puts us in a cloud of confusion where we can easily get lost, we need to find a Stephen-like focus. In the midst of perilous and eminent danger, Stephen did not lose focus. Stephen knew why he was on earth and the mission he was commanded to fulfill. Only with eyes focused on Christ can we overcome the propensity of our flesh to worry and become anxious about the things that matter least. Start each day off in prayer and in His word. It may seem like a broken record but it’s true, if we don’t start off our day fixated on Him we will struggle…. Prayer is a powerful act because it is supernatural. Spirit led prayer is an interaction of the work of the Spirit, the Word of God and our obedience. Many people pray in many different ways. Some pray long prayers, some emotional prayers, some pray using list and some pray spontaneously. But, whatever your “style” of prayer is, make sure it is Spirit led. When we pray, as the Bible teaches us to pray, the Holy Spirit joins us as He intercedes and empowers our prayers which leads to supernatural results. As Christians, we have the privilege of approaching God’s throne and laying our concerns at His feet as we pray “in step” with the Spirit. (1 Peter 5:7). Do you desire to see your life change? Is there someone in your family or someone you know that needs a touch from God? Prayer is where you start but that’s not where it ends. God works through us as we pray according to the Spirit and in line with the Word. However, the prayer process does not stop when we say ‘amen’. We are invited by God to follow our prayer with obedience as the Spirit leads us. This is Spirit Led Prayer. 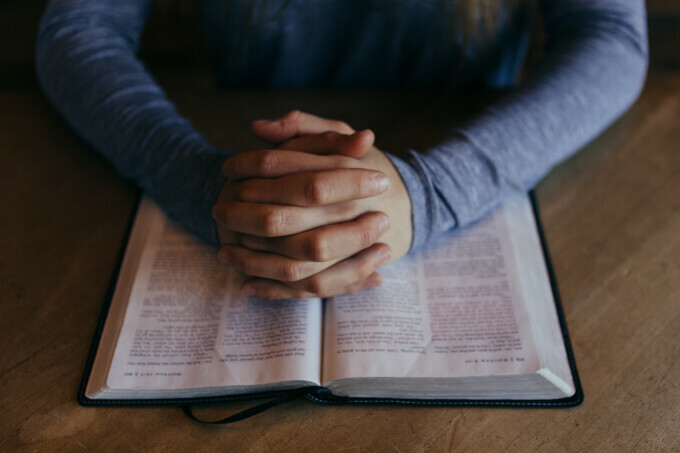 Henry Blackaby gives us eight steps by which we encounter Spirit-led prayer. Take time today to pray according to the Spirit and listen for God’s directions. I know you will be blessed. God takes the initiative. If you desire to pray, consider it as God calling you to prayer. When we pray it’s because God summons us into His presence. The Spirit of God reveals the will of God through the Word of God. The Holy Spirit takes the words and truths of Scripture and impresses them on our minds. As we pray, He will bring specific Scriptures to our minds. The Holy Spirit helps us pray in agreement with what God is saying (Romans 8:26). Our natural tendency is to meet God’s word with unbelief. The Holy Spirit works to align our hearts and minds to accept what God is saying. When God gives us direction through prayer. He will confirm His word through the bible, circumstances and other believers. We adjust our lives to what God says. Once God speaks to us, we cannot remain the same. God’s Word always requires adjustment on our part. We obey God. All of God’s speaking to us means little unless we do what He tells us. God works in and through us to accomplish His revealed purposes. We experience God through our obedient response to God’s Word to us.